So the holiday season is officially here. Let’s bring on the food! 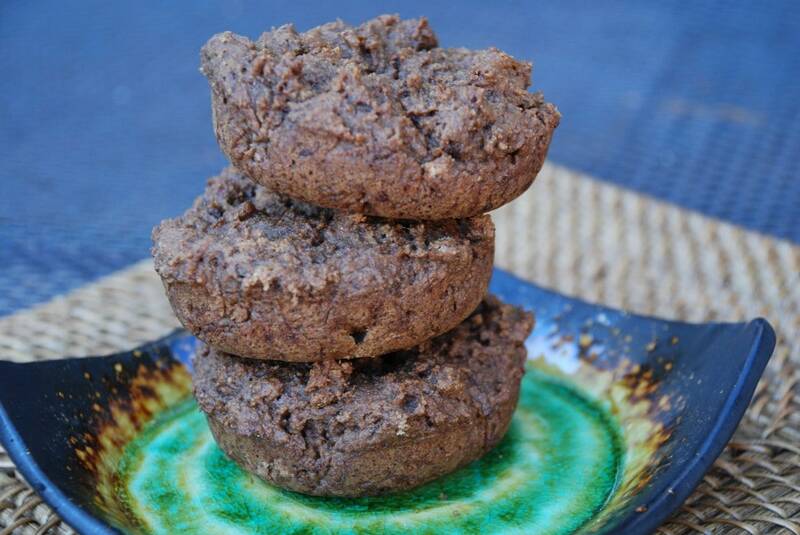 These donuts are full of flavor, with none of the bad stuff. My kids and husband could not stop eating them. I know it is going to be a good recipe when Meadow is willing to lick the beater. 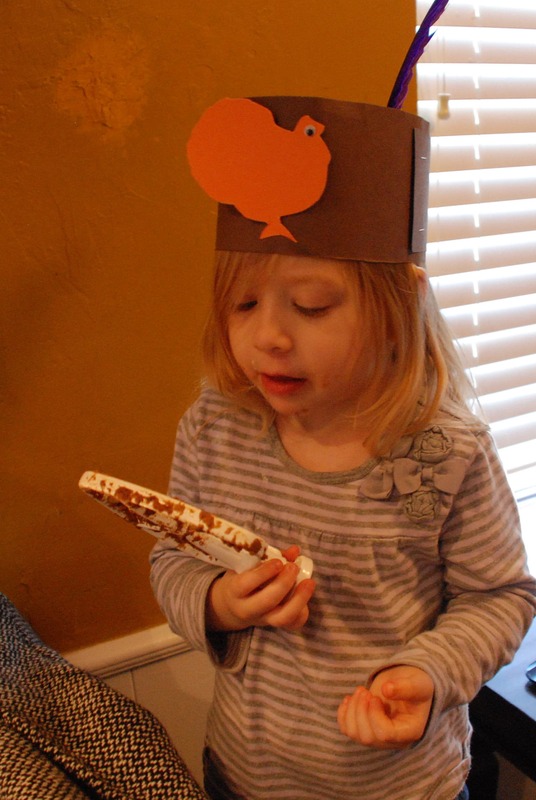 She insisted on wearing her Thanksgiving hat she made at school. Even Olive had a taste. 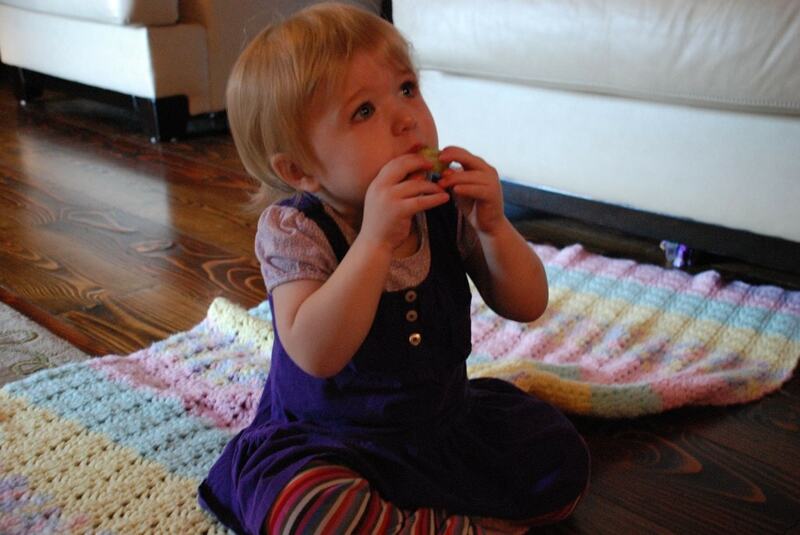 I wasn’t able to get a picture of that, but here she is eating a cucumber. Add wet to dry slowly. Be careful not to over-mix. Spoon batter into greased donut pans. For another yummy gingerbread recipe, click here or here . These are SO good! My 5 year olds tried the batter and weren't convinced but once they tried the donut, they gobbled it down! I am gluten free but I couldn't help but have a little try and I thought they were awesome too. I'll definitely be trying your other kinds as well, especially the gluten free one so I can really enjoy them. 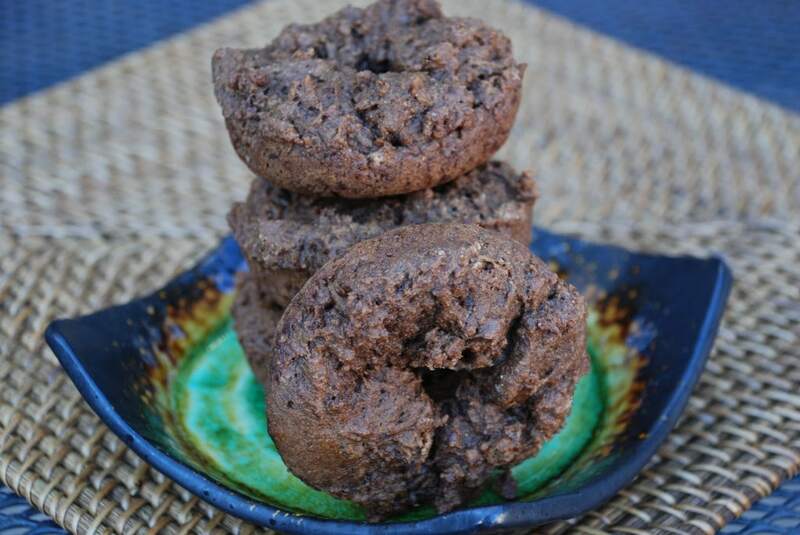 I am going to look for a mini donut pan so I can send these as a healthy snack to share at school. Thanks so much! I would sub whole wheat pastry flour. I hope you enjoy the donut pans! 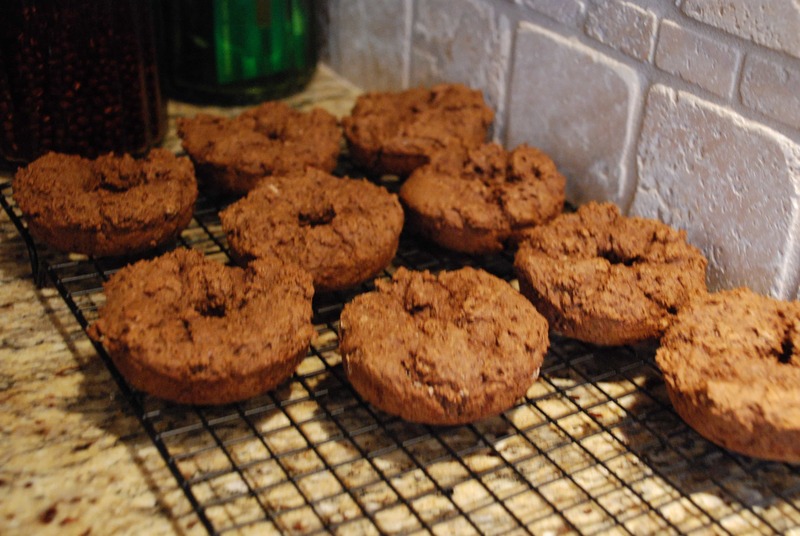 These look delicious and I'm definitely making them tonight in honor of national donut day! How do you store these? Should they be stored in the refrigerator? Thank you! I store them in the fridge. You can freeze them too! Hi. I want yo give these a try. Did you use normal size or mini donut pan. At. I used a normal sized donut pan. Could I use coconut oil for the oil? thanks in advance!